Influencer Marketing has become a booming shift and trend in the world of marketing and advertising. Of course, with such a major, tasteful and undeniable change in the marketing and advertising space, brands have got no choice but pump in big money into this type of marketing and to create speakable campaigns. The shift comes with a big opportunity for what we today call; digital influencers, brand influencers. Influencer Marketing is a form of marketing on its own and it has now become famous because it’s about person-to-person engagement. Even though today we see it slowly becoming more like traditional advertising because of ‘lack of authenticity’. It’s even predicted that we might see the whole Influencer Marketing dead one day – but that’s a discussion for another day. 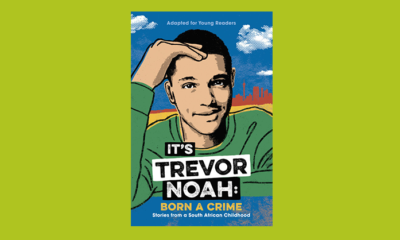 In South Africa, we see the Influencer Marketing growing rapidly and we see brands and marketers recruit influencers to pass on the message to followers and online audience. But also, this is not just magic and glamorous – much of the money is also going to waste because of brand fails and picking wrong people to pass on the message. But this is the other side of the story you will never hear about. Brands/Marketers can never sufficiently explain how effective their influencer marketing strategies have been. Like… did they drive enough sales and engagement? did the selected influencer(s) really influence what they were selling? Furthermore, we see many local brands getting hammered for been poor at selecting the correct influencers to get the job done. This is because of the lack of research and recycling the same influencers. That is why you’re likely to see an influencer pushing 5 campaigns in a day about unrelated products. So what really defines a complete and solid ‘Influencer’? An influencer is a person who has a solid number of followers on social media and somehow has a voice to convince those followers into buying and trying out a product. A true influencer has to somehow form his/her own community. Even if you have 10 close friends who are your followers, you are already an Influencer, because whenever you post or share anything, those 10 close friends are likely to engage and listen to your message and even try out a product you share about. When you’re an influencer people rely on your opinion and your word. So think about that when putting out content. Kim Kardashian, Kylie Jenner, Will Smith are some of the names that come at the top of my head when thinking of what makes a great and authentic influencer. 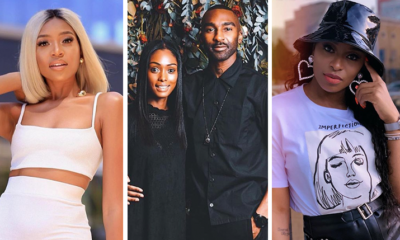 In South Africa, we have game-leaders like Kefilwe Mabote, Sarah Langa, Mihlali Ndamase and Tshepang ‘Twiggy’ Mollison who have solidified the influencer marketing game. Even though they might not label or bio themselves as ‘influencers’ – they have a bigger voice when it comes to pushing products and convincing their followers/audience to buy in. 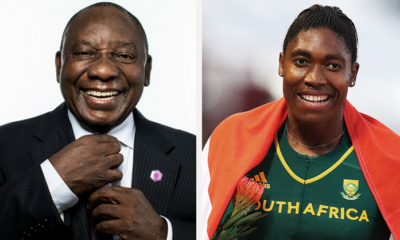 A recent study by data-driven marketing platform Humanz, shows that there are 152 791 South African influencers on Instagram and 69 488 on Twitter. 1 000 – 4 999 followers = Nano-influencer , 5 000 – 49 999 followers = Micro-influencer, 50 000 – 249 999 followers = B-lister, 250 000 – 1 million followers = A-lister and over a million followers = Superstar. On Instagram, the most popular influencer categories are fitness (with 4 514 Instagram influencers), lifestyle (with 4 208 influencers) and fashion (with 3 811 influencers). On Twitter, however, the most popular categories are music (with 1 040 influencers), fitness (with 642 influencers) and lifestyle (with 448 influencers). When starting as an influencer you have to focus on something, that way people know what you stand for, what you like, don’t like. If you’re about beauty and fashion stick to exactly that, so that even when someone new follows you tomorrow, they will be aware they’re only going to consume beauty and fashion content from your feed. But most importantly – creating dope content and being authentic will get you ahead and separate you from the rest of the flock. Creating content is not an easy thing and it’s something today’s influencers won’t tell you. Imagine getting a product from Apple (the latest iPhone) and they ask you to do a review of the device. First, you have to think of a setup, hours of shooting, the equipment and a message to pass on. That requires time and money to execute and deliver tasteful content. Most of the South African influencers have kind of adapted what other international influencers are already doing, especially the clean shots with those rare filters, white sheets, coffee shops and so forth. This is not something new and has somehow become a trend amongst different influencers. The trick is to stay unique in how you deliver and present your content so even your followers/audience can enjoy your feed. Starting as an influencer is not difficult, platforms like Twitter, Facebook, Instagram, YouTube and Snapchat are already there to start posting content, as long as you have from like + 1000 followers. If you’re interested in fashion campaigns, you can easily reach out to different fashion brands and even do trade exchanges to build a solid relationship with them. Most brands don’t mind doing exchanges in most cases but don’t let this get very far because you want to get paid at the end of the day. Either you’re on the Nano or Micro level, you’re in what we call the ‘advantage’ phase. Today, brands and marketers are most likely to hire Nano or Micro influencers because they don’t have to spend alot of money on just one influencer and believe they will get more engagement. Nano and Micro influencers receive more engagement because they come off as more-relatable. Having a massive following like 2 million followers ( ofcoz nothing wrong with that) can make your followers feel like they can’t be in touch with you or be on your level somehow because you’re a big deal. While with a small and solid following people feel like they can relate to you, reach out to you easily and you can form a connected type of community. It’s most likely you won’t get a reply from a person with 2 million followers than a person with 5K followers. Even if you were to send them a DM to ask a question about a specific product they posted on their feed. Marketers won’t spend R100 000 on one influencer with 1 million followers, they would rather do a campaign with ten Nano or Micro influencers for the same price and get enough content and get to reach even more people, because they have an authentic connection to their followers. So being on the Nano or Micro level is an advantage for you to make serious money and take your profile to the A-list level. Today many high profile people and celebrities are getting paid tons of money just to share branded content on social media. When you have a long and on-going relationship with 4-5 brands that relate to your content it’s easier to execute things and get paid at the same time. This also can benefit you in scoring a long-term sponsorship with that specific brand (in product) or even signing a long-term ‘paying’ contract. But the brands have to see the work and know that you’re an asset when it comes to delivering a message about their product or service. It will definitely take you sometime before you start getting calls and contact straight directly from the brands, wanting to work with you on campaigns. And this is where every influencer wants to see themselves. The communication is simplified and you will be getting quite proper bags and nice cheques. Working with different brands to influence can be fun and tricky at the sametime. At the beginning level, you want to get as many campaigns as you can but also staying authentic to your followers. Accepting any campaign that comes your way can be your downfall. In many cases, you will find an influencer getting approached by a brand which they don’t relate to, but just for the sake of getting paid – they end up accepting it. The trick with this is, you will be misleading your audience and confusing them. So an as influencer you will need to figure out how you select campaigns and still stay authentic to yourself. The other downside of being an influencer when starting out is getting paid. You might think it’s easy and be all excited when a brand/marketer approaches you for a campaign. But thinking about it, you’re getting into a business transaction with that brand/marketer. And in most cases, influencers know nothing about drawing up an agreement, contracts to make sure the whole process runs smoothly and they get paid on time. Believe me, there is an influencer out there who has not been paid for a campaign he/she did in 2017, and they can’t do anything about it. This is because when a campaign comes they don’t think of the basics of an agreement and even when they do – when a brand/marketer is delaying to pay you, going legal route can be costly and draining. In most cases, brands and marketers will pay an influencer after a 30-day period when the campaign is done. That time you first have spent your money to create the content, attend the event(s) and then wait 30 days more to get paid or even get those ‘client hasn’t paid’ stories. That’s the current state in South Africa, and many influencers are completely unaware of such terms in the industry. Today, many influencers are given campaigns ‘without’ a budget/cent upfront and they will have to dig into their pockets to cover any occurring costs and they’re not guaranteed they will get paid. So, all in all, you will need money to become an influencer in the long run, especially when you’re starting out. And unlike artists and musicians, most Influencers do not have agents to manage their business affairs and secure future bags for them – more especially in the early days. To be at the top of the influencer industry you will have to have a huge following, yes, thousand and millions of followers. That way you will be able to make more money and make your own rules and terms. Even though you will not be getting tons of campaigns at the same time, you will definitely be getting a big cheque for every damm campaign. A person like Kefilwe Mabote with over 600K followers on Instagram can get paid up to R100 000 for just a single post, same as Mihlali Ndamase with the same following. Big names like Bonang Matheba with over 2 million followers on Instagram can charge anything from R200 000 for a post. 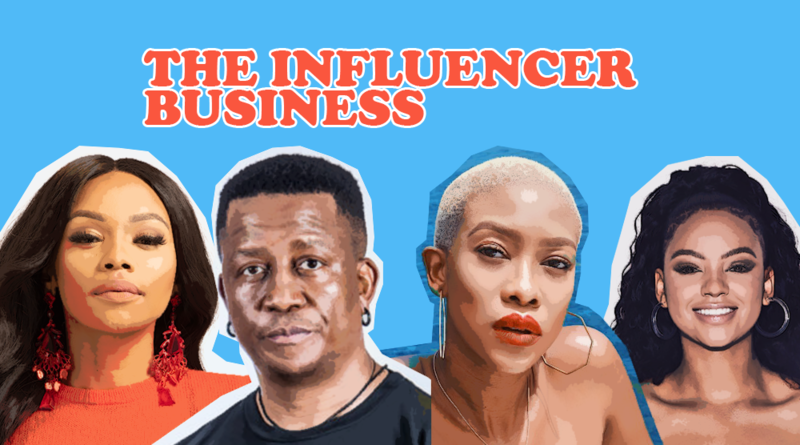 Even though celebrities like Bonang Matheba, Gail Mabalane, DJ Fresh and Blue Mbombo don’t call themselves ‘influencers’ they’re able to influence easily and can get paid for the job – because of their huge social media following. At this stage, you’re able to easily set your own price based on your following, impact, reach and even status of work. 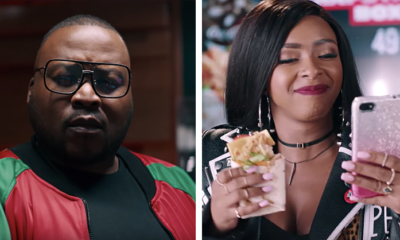 High-End influencers are those who are able to rake in millions and millions of rands by just doing campaigns. The only disadvantage of being an influencer at this level, is you have to be picky with which brands you work with and not. You might have signed a long term contract or ambassadorship deal with a certain car brand – and because of that, you’re then prohibited from doing any type of work with other car brands (because of terms and conditions even). When you come across an ‘#ad’ or ‘#sponsored’ tag below a social media post shared by an influencer you should know it’s a way of an influencer disclosing that they promoting a product or service on behalf of a brand and they’re getting paid for that. 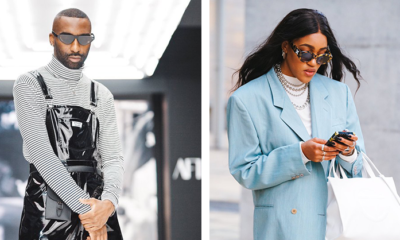 In 2017, The FTC sent letters to 21 Instagram influencers (including Naomi Campbell), warning them that publishing sponsored Instagram posts on their personal accounts without “clear and conspicuous disclosure” is a breach of the rules. Same applies. It’s just recently when The Advertising Regulatory Board (ARB), proposed strict new rules for brands and influencers on social media – aiming to promote full transparency in advertising and holds brands, agencies, and influencer marketing platforms accountable for ethical advertising practices. Both Brands and influencers will now be required to clearly stipulate all ads when posting on social media. The proposed policy is aimed at protecting users and consumers when they are exposed to advertising via social media. – Social media adverts may not contain misleading, false or deceptive content. – Marketers must ensure that paid social media adverts are identifiable as such, by using the #AD, #Advertisement or #Sponsored. – Claims that are made by an influencer in a post must comply with the standards of the Code of Advertising Practice, specifically Clause 10 of Section II. – If a brand makes use of a social media parody account, it must clearly reflect in the account’s bio that it is not real. – Brands are required to provide the influencer with enough information on what they are about to endorse for sufficient understanding. Influencers must also disclose their involvement with a particular brand. A good example is the recent VW and Drive Dry campaign with Nomuzi ‘Moozlie’ Mabena where she faked a car crash in an Instagram post. The post was later taken down and reposted with appropriate tags marking it an ad campaign. With the new proposed rules, the ARB is looking is making sure such does not happen where consumers are left clueless by brand marketers and the influencers they use. You can view the full draft here. Whether you’re in or not, influencer marketing is the biggest thing now because of the growing state of social media and how different brands prefer to communicate the message. And it’s not easy to predict if this form of marketing will even last, but as long as brands are spending money on influencers then it will remain a buzzword.